Android Auto, Google’s OS extension built specifically for automobiles, will now be available in most 2016 models from Volkswagen. While entry-level VW models will still feature a more basic head unit, basically any model with a higher trim level will feature the company’s App-Connect, allowing for integration with Android Auto, Apple’s CarPlay, and MirrorLink. On top of App-Connect, VW’s Car-Net system is built directly into the vehicle, focusing on 3 key elements – Security & Service, Guide & Inform, and App-Connect. Buyers will receive a 6-month trial of Car-Net for absolutely free, but after that trial period, a monthly cost begins. Month-to-month, the Car-Net service is priced at $18, offering what looks to be many more features for iOS users than Android. For example, there is an iOS app that ties directly to the Apple Watch, allowing them to check their fuel, remotely unlock and lock doors, and more. For Android Wear users, we get nada. This app will be available later in the year, if you were curious. In terms of which models you can expect to see App-Connect featured in, rest assured you will find it in the Beetle, Jetta, Golf, Passat, CC, Tiguan, and others. For a more full look at models, check here. 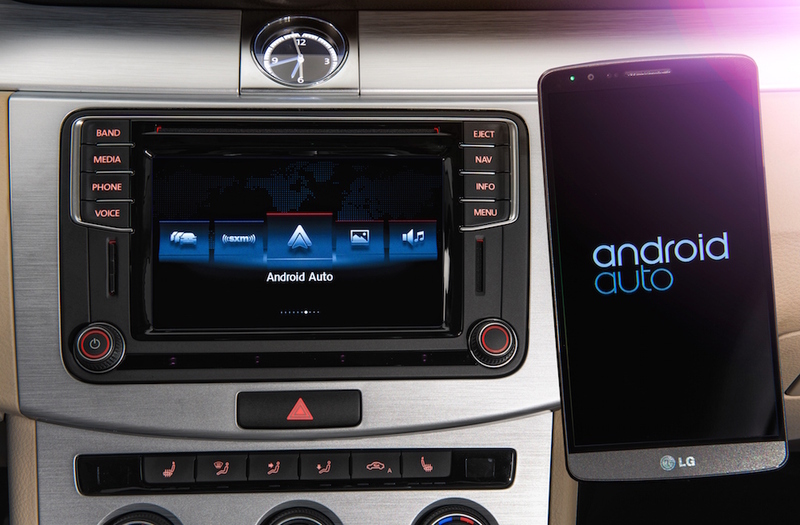 If you were planning on picking up a new VW anytime soon, be sure you tell the salesman you want Android Auto.